The dining room chair is upholstered in the front, rear and underneath. The refined piping around the seat and back round off the design wonderfully, accentuating the high-quality look. 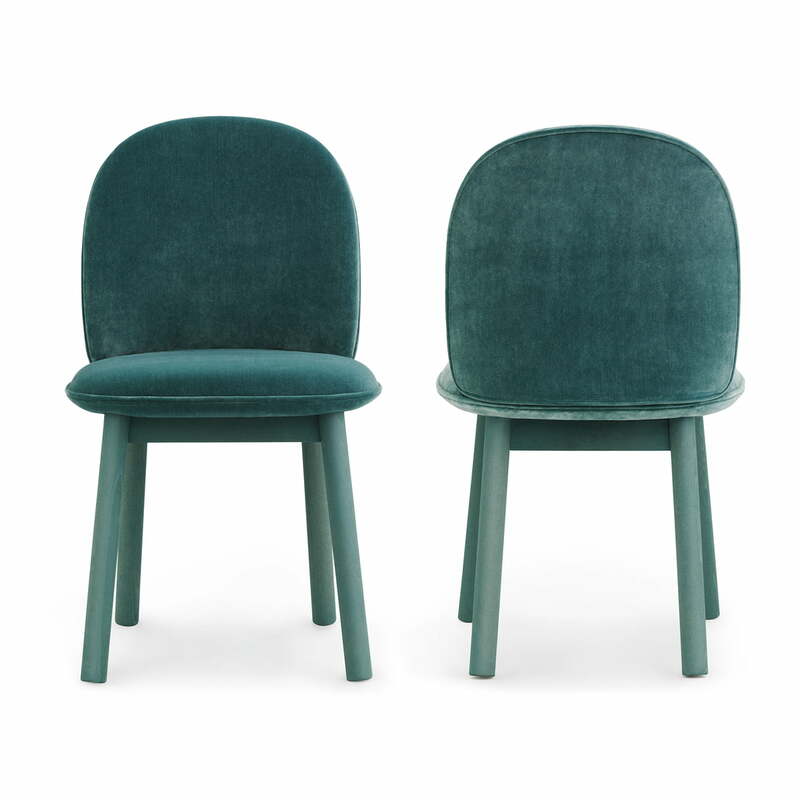 With the velour cover made of 100% polyester, the Ace chair is very easy to care for, while the velvet appearance brings a retro elegance. 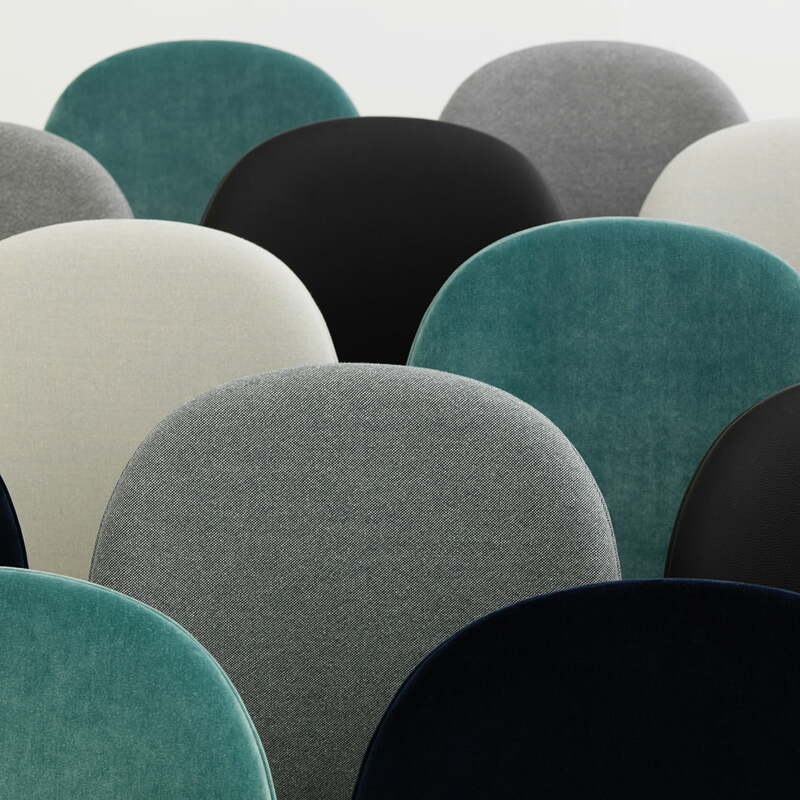 In addition to the velour, the Ace chair is also available in a mottled wool textile and exclusive leather, especially developed by Normann Copenhagen. Depending on the material and colour, the Ace chair can go from looking modern, to classic, or even retro. 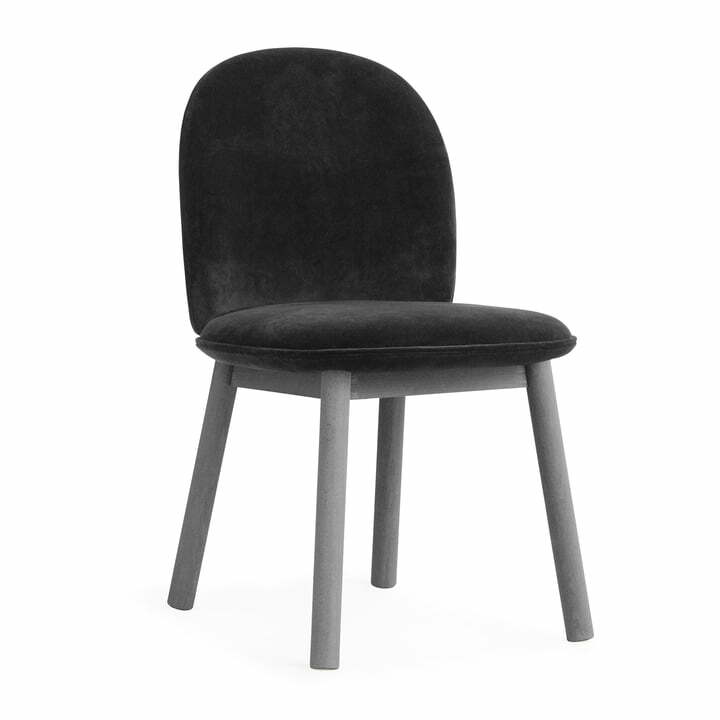 As part of the Ace collection by the designer Hans Hornemann for Normann Copenhagen, the Ace Chair comes, like his other furniture, in a flatpack. Thus, the furniture is sustainable, ideal for shipping, and easy to assemble. The chairs are compact and easy to transport, and can be assembled and disassembled in just a few simple steps - perfect furniture for the modern nomad. 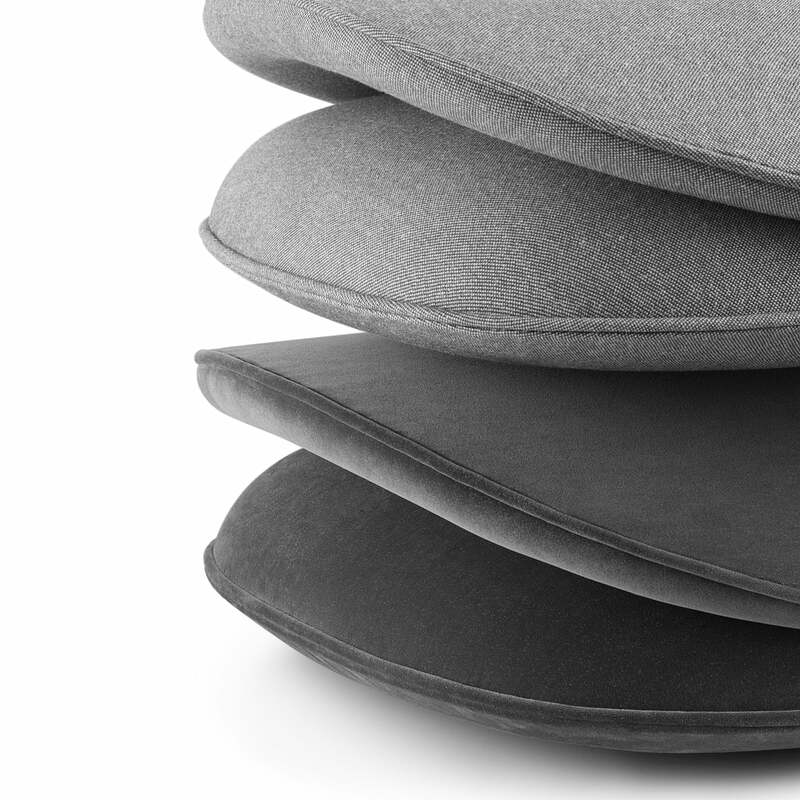 In addition, the dining room chair’s padding, made from moulded foam, ensures the highest comfort and flexibility. 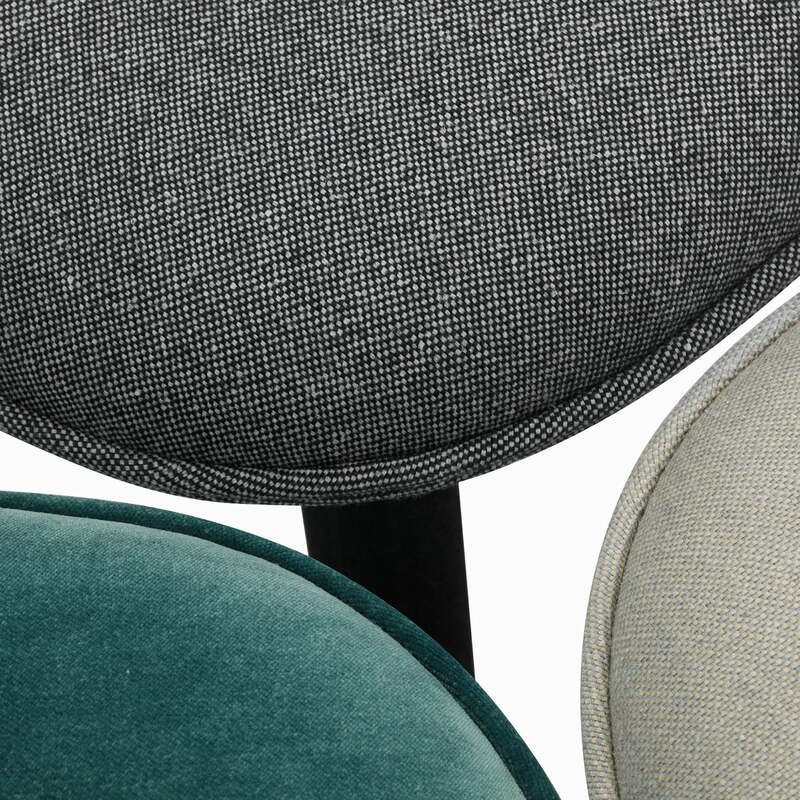 Detail image of the Ace Chair covers with the fabric Nist in grey and beige and in the version of Velour in the colour lake blue by Normann Copenhagen. Nist is made of a weaving technique, with 52% linen, which ensures the natural mottle of the fabric. While Ace is elegantly presented in the velour version, the furniture with the fabric Nist offers a firmer appearance.